This is something that we’ve all heard thrown around when it comes to managing companies and motivating your staff. One thing that’s never really explained, however, is exactly what team-building is and what the benefits of applying team-building exercises to your company are. Many people see team building as a way of building professional and social bridges and it’s a way of rewarding your staff for hard-work and commitment. However, the actual benefits of team building actually run much deeper than this. They’re also a way of delivering much-needed communication skills training and also motivating your staff by encouraging them to take part in an event with their fellow colleagues – colleagues they may not have communicated with prior to the event. All activities which are designed to raise employee morale provides huge benefits to your business as a boost in morale also results in a boost in productivity. This means that a simple event can motivate your staff and increase their productivity levels, which, in turn, can improve the fortunes for any business – especially a company which is stagnating. Now, I’m not saying that team building only benefits poorly performing companies or that your staff are all performing negatively and thus having a negative effect on your sales, instead I’m saying that team building exercises are an excellent way of inspiring your workforce and give them a break from the “same old” routine. They are an excellent way of refreshing your team and they give morale a firm boost through team building exercises and they help to motivate your staff which, in turn, helps to grow your company and also gets all of your staff together and focused on the continued success of your company or brand. The benefits don’t end there either. Team building events can also improve your staffs ability to work, both as an individual and as a team, and it also gives your staff an excellent sense of empowerment and it helps different departments club together and work smarter to overcome challenges – something that they’ll take with them into work-based challenges meaning that your staff are more likely to resolve issues themselves quickly and effectively. 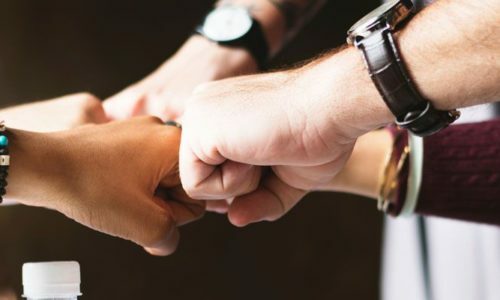 These benefits to team work can also help to encourage cross-departmental communication and collaborations and it also offers smaller teams the chance to build a wider network of contacts within your business. This enables your staff to create meaningful relationships and collaborate easily with different teams without input from managers and other members of staff. It’s important to understand the reasons behind getting your staff to take part in team building activities and the different types of activities that you could use. Sure, it might seem easy to take your different teams out for a drink after work one day, or for a collective lunch, but the chances of this helping your team to work smarter and more effectively at work are limited. It’s well-known that team building events which require a team to engage in an activity which is out of their comfort zones removes the barriers to communication skills across all of your workforce. Taking your staff out of their comfort zones could mean anything from taking them to an unusual location, doing different tasks or working alongside colleagues that they might not have previously worked with. This is a fantastic way of enriching your team and developing stronger communication across the different departments and encourages better work between different teams. By having team building exercises, you’re also giving your staff more self-confidence. This is because it can increase the motivation of your staff and also activities that are successfully completed (especially when they’re completed in a different way that what you’re staff are usually used to) can give your staff a boost in confidence. By inviting all of the members of a team to be involved also improves the commitment as it boosts a sense of company recognition and appreciation of their contribution to the team. Overall, the benefits of team building events are innumerable and there are numerous unexpected and unique ways of delivering something that is incredibly special to your team. Now, let’s take a look at the role of a printed T-Shirt and how it can help boost team morale. All of us wear printed T-Shirts, some of them are our favourite clothing, some of them not so much. We also have items of clothing which remind us of certain events, dates, occasions and so on. Have you ever pulled a T-Shirt out of your wardrobe and been reminded of a particular occasion? Most of us have. Now, add this feeling to a printed T-Shirt that has been provided to your staff at a team building event. The T-Shirt reminds the wearer of the event and serves as a constant reminder of the skills that they learned at this particular event. In my wardrobe now, I have a selection of printed running shirts (bear with me, this is going somewhere). These running shirts were provided to me by Garment Printing and they always serve as a reminder of the time that I took part in different running events such the Midnight Run in Barcelona. One of my favourite parts of this run is that there were a number of taking part and we all stuck together throughout the run, starting and finishing the race together. Straight after the race, we used our new found team unity and healthy living and…went for a beer – all the while still wearing our printed running shirts. What’s the point that I’m trying to make? Well, if a simple running shirt can evoke such strong memories of a time when I crossed the inter-departmental gap, then it’s certainly provided more value that the T-Shirt is worth. Amplify this across your whole team and you’ve got yourself a well oiled machine that is working together for the greater good with a new found focus and commitment to making your company grow. So, give your team a new-found sense of pride, responsibility and commitment by taking them on team building activities and help them to forge relationships which not only benefit the individual but they also benefit the company. As an added bonus, provide them with free printed T-Shirts celebrating the event and then you’re onto a winner.